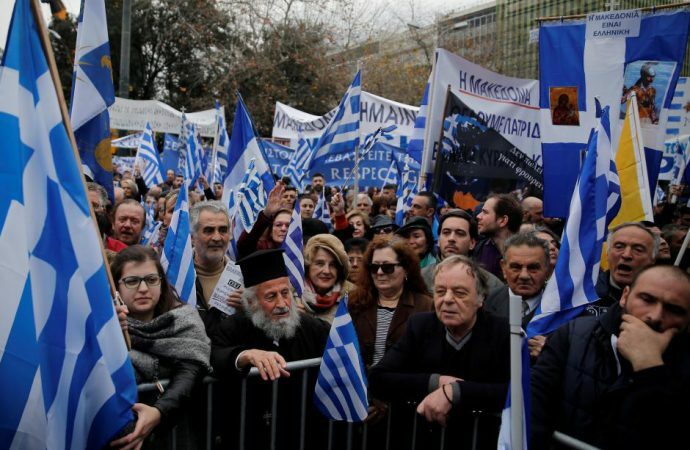 Large rallies both in support and in opposition to Greece’s ratification of the Greek-Macedonian name change accord are expected today in Athens. Last Wednesday night Greek PM Alexis Tsipras narrowly won a confidence vote, averting snap elections. However, the PM’s support of the deal in question—which would legally change the country of Macedonia’s name to the “Republic of Northern Macedona”—has led to the collapse of Mr Tsipras’s coalition government with the nationalist Independent Greeks Party (ANEL). The PM now heads a minority government of 145 out of 300 seated lawmakers. Whether or not Greece ratifies the accord depends on if members of the small, pro-EU party To Potami vote in favour of ratification with Mr Tsipras’s leftist SYRIZA party. They want a resolution to the name dispute crisis but at the moment appear to be vacillating over where to throw their support. Two major questions stand: Will the accord be ratified? And, will new elections be called? The answer to both questions depends on who To Potami voters want the party to align with and what voting Greeks at large think of the deal. Major nationwide opposition to the name change agreement today might be enough to sway To Potami against the deal and prompt new elections.